When a down-on-his-luck busker nurses a sick cat back to health, he forms a bond that will change both their lives… James Bowen was a homeless musician, busking on the streets of London to survive. But the moment he met an injured stray cat with ginger fur and big green eyes, his life began to change. James was living hand to mouth in temporary accommodation, and the last thing he needed was a pet. 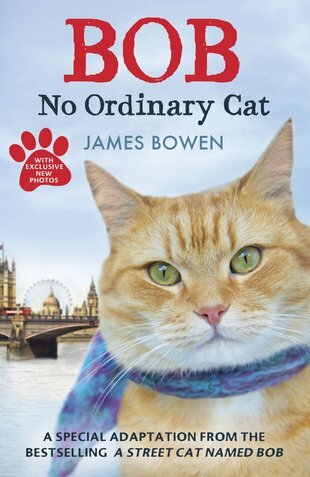 Yet James and Bob soon became inseparable friends, helping each other to heal the scars of their troubled pasts… Bob: No Ordinary Cat is the moving and uplifting true story of a man and a cat who faced the world – and won. Please note: this book contains some drug references.